Peabody: A group of Peabody firefighters and police officers will be holding a charity hockey game to raise donations for Haven for Hunger in Peabody. 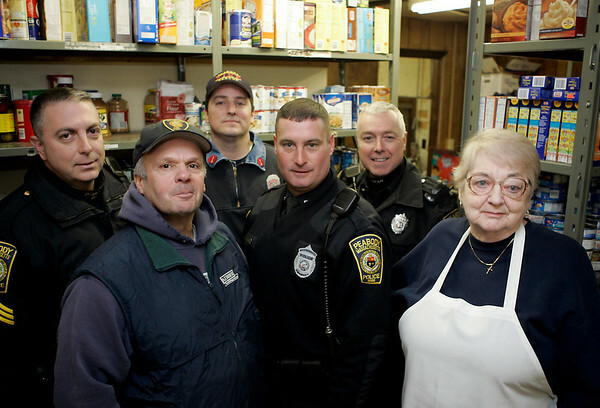 Standing in the programs pantry are from left, Sergeant Vinny Patermo, Fire fighter Rick Pramas, Lieutenant Dale Kimball, Police Officer Dan Jenkins, Police Officer James Thibodeau and Haven for Hunger executive director Truby MacIntyre. Photo by Deborah Parker/Salem News Thursday, January 15, 2009.